New guidance from NICE says healthcare professionals should cut down on antibiotic prescriptions for sore throats and help most people manage their symptoms with pain relief. 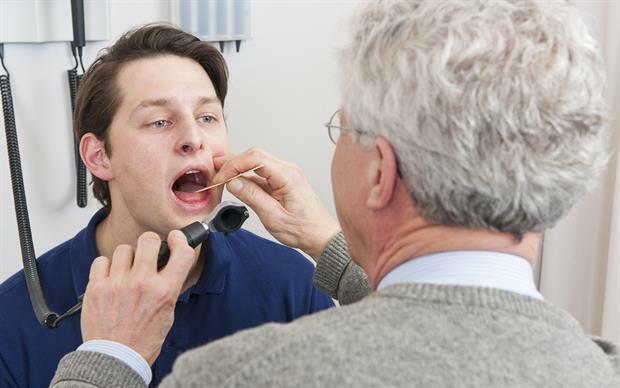 The newly published NICE guideline on antimicrobial prescribing for sore throat says that most people with sore throats will get better after a week regardless of whether they take antibiotics. 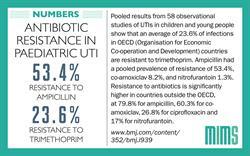 However, research suggests antibiotics are prescribed in 60% of cases. NICE says healthcare professionals shouldn't routinely prescribe antibiotics but should instead should help people to manage their symptoms with analgesics such as paracetamol or ibuprofen. The guideline notes that some adults may wish to try medicated lozenges containing either a local anaesthetic, an NSAID or an antiseptic. However, GPs should advise such patients that these options may only reduce pain slightly. People who have a sore throat caused by streptococcal infection are more likely to benefit from antibiotics. The guidance highlights two symptom scoring tools (FeverPAIN and Centor) that healthcare professionals can use to identify strep-throat. 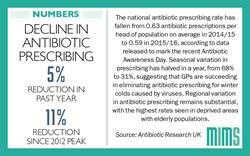 For those with a FeverPAIN score of 2 or 3, GPs should consider not prescribing antibiotics or issuing a back-up prescription. For those with a FeverPAIN score of 4 or 5 or a Centor score of 3 or 4, GPs should consider an immediate antibiotic prescription or a back-up prescription. Patients who are systemically very unwell, have symptoms of a more serious condition or are at high-risk of complications should be prescribed antibiotics straight away and further investigations ordered if required. If patients have an acute sore throat associated with a severe systemic infection or severe suppurative complications they should be referred to hospital. Children under 5 who present with a sore throat and fever should be assessed and managed as outlined in NICE's guidance on fever in under 5s. 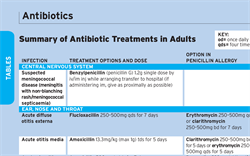 NICE recommends phenoxymethylpenicillin as the first choice antibiotic for sore throats. For those with a penicillin allergy, clarithromycin or erythromycin should be used. NICE issued similar guidance last year for sinusitis.